BESTEK teeth washer comes with 2 cleaning modes and controlled by pressure, easy to use and clean your teeth. 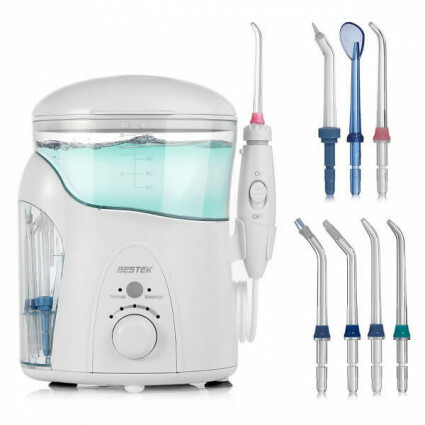 The oral irrigator is beneficial to those with braces, dental implants, crowns and bridgework. With BESTEK oral irrigator, your teeth can become clean and healthy all the time. 7 pressure settings tips, the thickness of the water jet can be adjusted as required in different stages.